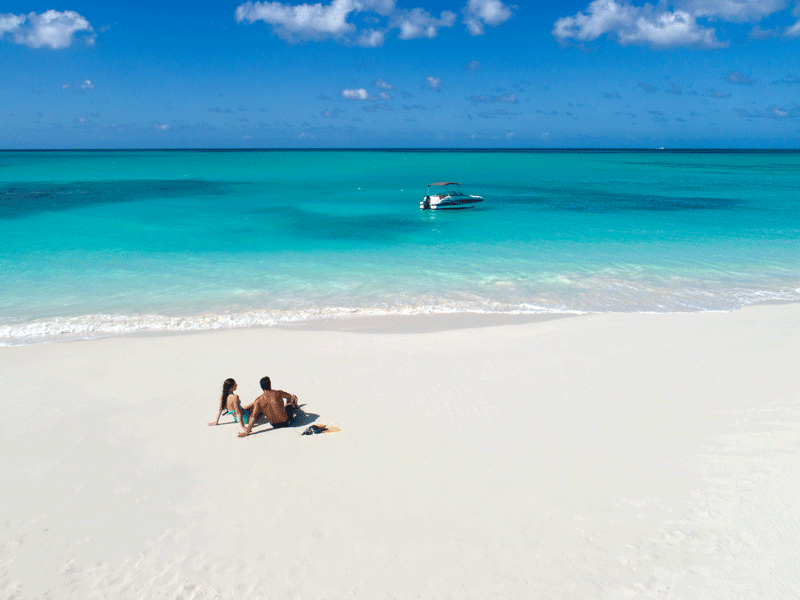 With fewer than 40,000 inhabitants, the Turks and Caicos Islands (TCI) may be one of the Caribbean’s smallest territories, but it certainly punches above its weight. Boasting spectacular coral reefs, luxurious hotels and exotic wildlife, the archipelago has gained a well-deserved reputation among travellers as something of a hidden gem. However, there is much more to the TCI than just tourism. The financial sector is regaining much of the traction it lost during the 2008 financial crash, and other lucrative industries are also on the rise. The TCI has played a crucial role in promoting investment opportunities in the region. Like many other parts of the world, the TCI was badly damaged by the 2008 global financial crisis. Along with Hurricanes Irma and Maria in 2017, these external factors exposed the islands’ ‘open arms’ investment policy and were a major setback for the TCI economy. In response, the TCI Government has revised its investment policy statement (IPS). The revised IPS aims to create a new investment model that will maintain a dynamic, growing economy – one that is better equipped to tackle economic and social challenges, and is more resilient to external shocks. Invest Turks and Caicos Agency (Invest TCI) plays an essential role in this new investment landscape, promoting the islands, generating leads, servicing investors and advocating the government. To be effective in attracting new investment, the TCI Government is identifying and targeting companies in priority sectors and using relationship management strategies to attract these firms to the islands. The TCI Government is committed to proactively seeking out high-quality corporate investors who otherwise would not have considered the location, and also aims to secure a greater quantity and quality of inward investment projects through relationship building and effective facilitation. In order for this new investment policy to have the greatest possible impact, the TCI Government has identified several development priorities for the next five years. Strengthening the tourism sector is a major focus area, and investment will be needed if the islands are to provide visitors with the range of experiences they demand. A 2016 study by KPMG found that tourists to the TCI were looking for activities that went beyond sun and sea. The islands’ unique relationship with marine life – its ‘mariculture’ – should be emphasised to prospective visitors, who could be enticed to visit the world’s only conch farm. More could also be made of TCI’s history, such as its once-thriving salt industry, its ‘agri-food’ scene and its horticulture. Outside of tourism, the financial services sector is gaining traction and there is renewed focus on establishing a strong regulatory framework for the industry. The growth of the manufacturing, fishing and agriculture sectors is a top priority, along with the development of renewable energy technology and the growth of the information technology sector. If the IPS is to support a dynamic economy, then it will need to offer a helping hand to local and foreign businesses. In order to do so, the IPS supports firms in their initial start-up activities, helping them to maintain their products and services at a five-star level. This is in keeping with the islands’ desire to remain as one of the world’s top high-end destinations. Under the IPS, projects in Providenciales will be eligible for a 50 percent concession on import duties, with this figure rising to 75 percent for all business projects located on the Family Islands. Furthermore, in exceptional circumstances where proposals are deemed to be in the national interest but private land on which to develop them is not available, land owned by the monarchy will be made available. Invest TCI is responsible for monitoring performance once a development agreement has been signed between an investor and the government. Invest TCI oversees business eligibility for investment incentives, working alongside the TCI Government to ensure that approved projects are marketed globally to qualified investors and have considered the interests of local community groups. That way, the TCI can create an open, outward-looking investment sector that still looks after its citizens.